The Islamic Society of Boston, located in Cambridge, MA…a leading who’s who jihadi terror nest…a mirror image of mosques throughout America, even if some do not attract the same “star” power! NOTHING happens in a vacuum, least of all when it comes to Islamic jihad and all its myriad helping hands. This topic has been repeated, ad infinitum, at this site. For more than good reason. NOW with the news that AG Holder has resigned (don’t be so relieved, his successor will rip apart/stomp upon the Constitution too…replacing one anti-American devil with another); coupled with ISIS poised to pounce and Boston’s Islamic Society/Muslim American Society-Boston at ISIS’s epicenter, the questions become: where does AG Holder tie-in, relative to the previous Boston Marathon slaughter (April 15, 2013) and with Islamic jihad in general? More aptly, where doesn’t he? TO go from there to here is simply a matter of connecting the proper dots. In other words, please recall that AG Holder, in bed with Barack HUSSEIN, has made it “legal” to stop all criticism of Islam. “No more instruction about jihad, and Islam is to be considered a race. From 2008 to 2011, I was a guest lecturer at the Federal Law Enforcement Training Center (the primary DHS training facility, located in coastal Georgia) and at Joint Special Operations University (which brings foreign officers to learn of U.S. irregular warfare, located in Tampa). At both venues I was asked to lecture on the history of terrorism. I did so in an even-handed and comprehensive manner, exploring the issue across place (Europe to East Asia), time (ancient Assyria to al-Qaeda), and ideology (religious: pagan, Jewish, Christian, Hindu, and Muslim; and political: right-wing, left-wing, anarchist, environmentalist, etc.). Only 14 of the 44 PowerPoint screens in my presentation dealt with Islamic terrorism, although several of those actually mitigated against the concept. JSOU continued to utilize me until late 2011, when I was told by the course instructor that Muslim student officers had complained that “I talked too much about Islamic terrorism. IN both practical terms and application the FEDS are not allowed to investigate mosques and their relationship to Islamic jihad! And that is that; so ordered by the Islamist regime embedded in America! “Now, if Eric Holder wants to destroy a police officers life even when all available evidence against the officer proves he was acting in accordance with the law, he will send 40 plus FBI Agents to their hometown such as recently in Ferguson, MO. Bottom line: There is no one who cares about your family the way you do. No one loves them more. It is your responsibility to protect them. COUPLE the above knowledge base with another undeniable fact and nexus: egregious malfeasance had a DIRECT hand in Boston’s terror attack. The bloody outcome resulted in a straight path back to Obama’s/Holder’s pro-Islam directives! “However, of all the issues on which he’s battled with Holder, Rep. Gohmert said one stands out from all the others. “One that is very troubling to me is his lack of investigation and enforcement of the laws of the land as it pertains to radical Islam,” he said, asserting, among other things, that the April 2013 Boston Marathon bombing could and should have been prevented. “The FBI under his watch got a heads-up from Russia that (bomber Tamerlan) Tsarnaev had been radicalized. As best I can tell, they didn’t do anything but talk to Tsarnaev and talk to his mom and said, ‘Well, they say he’s not radical so we’re OK.’ If Holder’s department had done a proper job, the Boston bombings would not have had to have occurred,” said Gohmert. While his criticism of Holder on the issue of radical Islam started with the Boston Marathon bombings, it certainly doesn’t end there. “Rather than investigate (radical Islam), they partnered with them. They had community outreach programs with them. They still have those programs. They have been responsive to CAIR’s [Council on American-Islamic Relations] and ISNA’s [Islamic Society of North America] demands. Federal courts have found that those two organizations are fronts for the Muslim Brotherhood and radical Islam,” he said. SO as we segue from April 15, 2013’s jihad in Boston – an attack which could have been prevented – Americans are now faced with the growing ISIS fall out due to grave dereliction of duty and “hands off” directives: do not touch Islam’s hubs of terror! 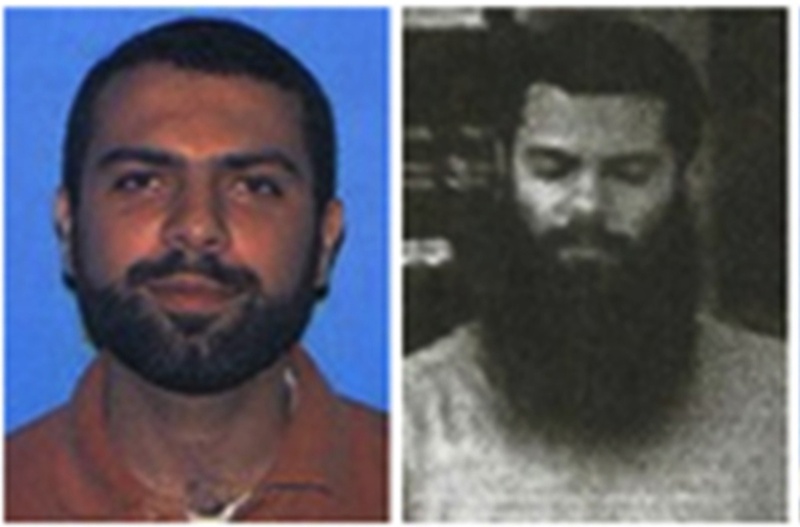 “Boston’s WCVB.com reported Monday that “the federal government is targeting Boston and two other American cities to shut down what they are calling the U.S.-Jihad pipeline to ISIS in an attempt to stop Americans from joining the terrorist organization.” Boston apparently made this elite list because Ahmad Abousamra, “an American college graduate from Boston, who has been on the run from the FBI for years, is suspected of joining ISIS and leveraging his computer skills to spread the Iraqi terror group’s propaganda on social media.” And so now Boston is reaping what it has sown for so many years. A Cambridge mosque is denying claims made by the New York Post that a man from Massachusetts who allegedly has ties to the Islamic extremist group ISIS, the same organization responsible for thebeheading of a New England journalist who went missing in Syria in 2012, ever attended their religious quarters. The Islamic Society of Boston said in a statement that the Post’s recent story claiming that Ahmad Abousamra, a Boston College graduate from Stoughton, who is reportedly linked to the Islamic State, was a “regular worshipper” at their mosque, along with others tied to terrorist activity, was full of “half-truths,” and the newspaper never reached out to them for comment or verification of the facts. The Islamic Society of Boston Cultural Center (ISBCC), which more recently became the Muslim American Society-Boston (MAS-Boston) has known ties to radicals. This mosque was founded by former American Muslim Council director, Abdurahman Alamoudi, who pleaded guilty to engaging in “prohibited financial transactions with Libya,” “unlawful procurement of Naturalization,” and to engaging in a “corrupt endeavor to Impede Administration of Internal Revenue Laws” in July of 2004.According to a DOJ press release, Alamoudi was part of a plot to assassinate Saudi Crown Prince Abdullah. ISB members claimed that they had broken ties with Alamoudi for years. Records obtained during the discovery phase of a lawsuit filed by the ISB against IPT Executive Director Steven Emerson and others showed that the ISB had paid a speaking fee to Alamoudi as recently as 2000. The ISB dropped the lawsuit in 2007. BOTTOM LINE: if not for the nexus between Obama Inc/AG Holder dictating an omerta re Islam’s relationship to jihad, Boston’s terror bombers would have been investigated, at the very least. In conjunction, the jacked up nest at Boston’s Islamic Society et al. would have been seen for what it is; a hotbed of terror. ONE dare not escape the fact that plots against America are rampant within mosques ALL over the U.S., and citizens will pay with their blood for the leadership’s complicity. Indeed, it is already known that over 6,000 “student” jihadis are on the loose! ANY way you spin it, the fact of the matter is that Islamic hydras (within all its mosques/cultural institutions et al.) are biding their time within the landscape of America, regardless of all their PROVEN terror ties. Since this is absolutely the case, the urgent query remains: what will it take to finally UPROOT the deadly cancer from America’s (the west’s) midst? INCONTROVERTIBLY, the scourge of Islam!